I haven’t used blogger in ages, but the new design of the site looks great! Hi Angus, hope you’re well. Haven’t heard from you in ages. Thanks about the site design. I moved to WordPress late last year and gave this blog a new look. Alice, I hardly wear eyeshadow, but every now again out comes the Piaf! I haven’t worn eye shadow for ages …only some the Nutrimetrics lady put on me. Gawd, I haven’t worn eyeshadow in a hundred years or so lol. I think my eldest, Feral Queen, cleaned out all of my make-up lol. That’s a whole lot of shades to choose from. I used to have those big boxes of eyeshadows back in my teens. 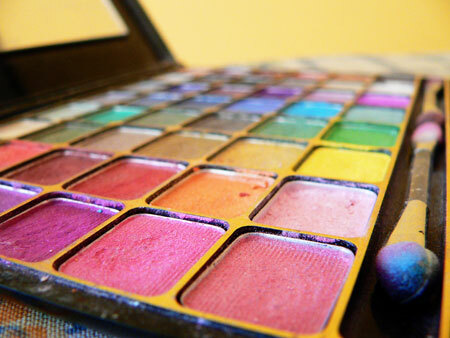 I loved to experiment with my make up back then nd spend hours in front of my mirror. Nowadays I just stick to the neutrals and am done in 10 minutes tops. haha – I can’t remember my last eyeshadow occasion – may have been a wedding or something. I have a very similar “combination” shadows pack, and I think it may last me until its left in my will! Alice, you’re doing better than me. I’ve never been to an opera. I’m not sure I’d like the opera but I’d like to give it a go one day.